As part of school rejuvenation project within this school we were approached to come up with an alternative to the replacement of the tar macadam with hot rolled coloured surfacing. 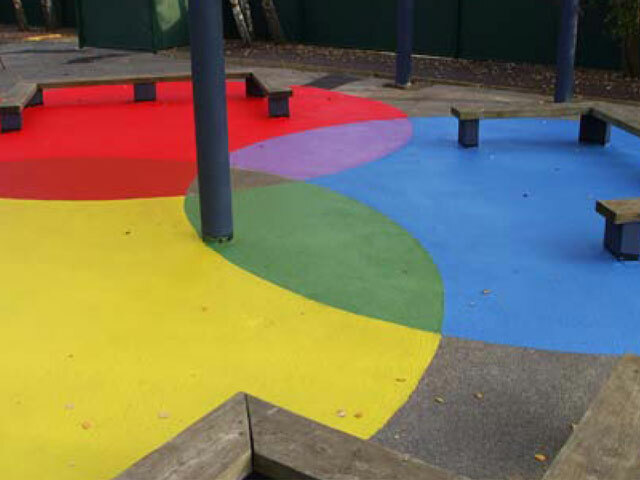 ERS specified a coloured hard wearing surface dressing as an alternative system. After localised repairs, the existing wearing surfaces were adequate to receive the coatings. Bordered with an aesthetically pleasing white border the fast track MMA system suggested by ERS was a big hit with the surveyor and pupils alike. With an extensive range of products and skills at their disposal ERS were able to undertake this project confident of full client satisfaction.